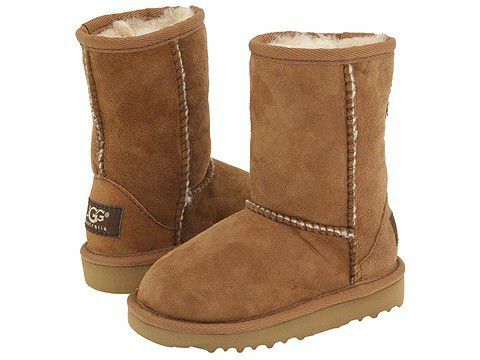 Ugg boots and foot odor - do they always go together? As the weather is becoming cooler, my daughter and her friends switch their footgear to Ugg boots or some variation of this. One of the biggest complaints I hear from other parents is that the odor from their boots can be very offensive! Very often enclosed boots harbor bacteria that cause odor. This bacteria is everywhere, and is naturally occuring on skin, however it thrives in a dark, damp, enclosed environment like boots. Parents, there is a remedy for this! Firstly, make sure your child does not have a fungal infection such as Athlete's foot, or tinea pedis, that is aggravating the situation. Learn more about myths and truths about athlete's foot here. Our doctors can check their feet and make sure. If it is simply an odor issue, our office dispenses Clean Sweep Shoe Spray. It is an antimicrobial shoe spray that removes bacteria and fungus causing odor. So don't ban those Uggs due to their smell - just take precautions to prevent it!